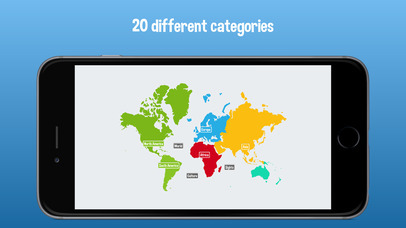 Find countries, cities and landmarks on the world map. 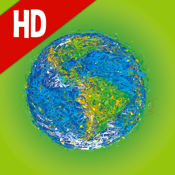 Number one geography game with over 6 mio players worldwide. 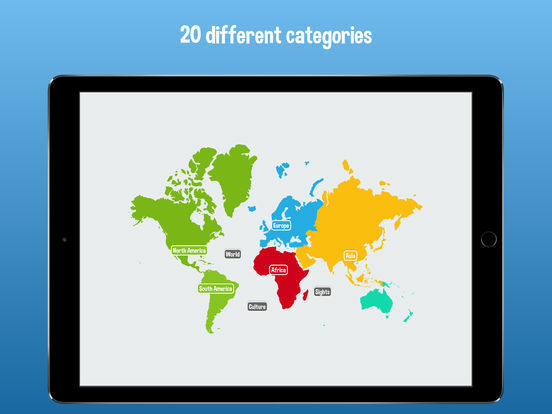 Top 10 Trivia Game in 66 Countries. Play alone or with friends. 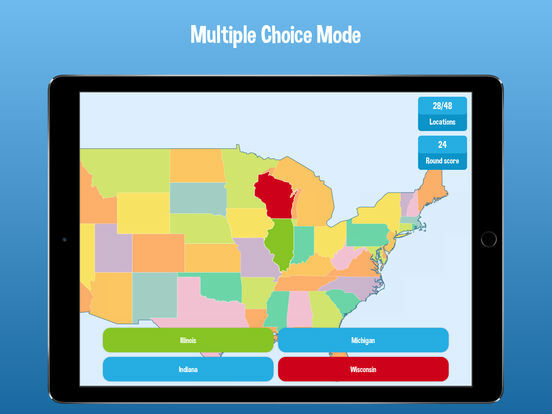 If you know the world or want to learn geography, play this game and find Countries, Capitals, Cities, States and Landmarks all over the world. Aim for the lowest distance and the highest score. 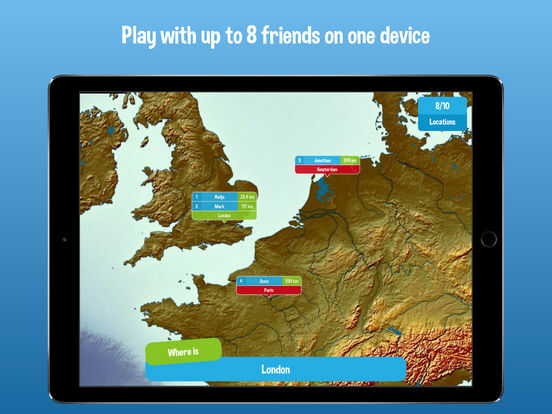 Challenge your friends on parties with up to 8 players in MULTIPLAYER on one device. Every location is connected to WIKIPEDIA, so you can read about every location right away in your language.